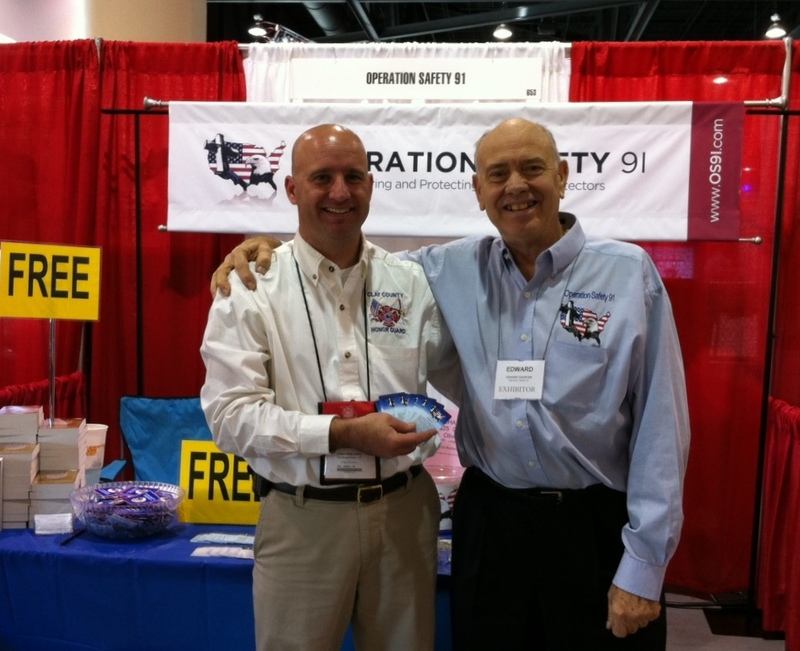 What a wonderful meeting Ed and I had today with RESPONDER LIFE! http://www.responderlife.com/ RESPONDER LIFE was formed "to support and strengthen the Families of all First Responders, including Firefighters, Police Officers, Emergency Medical Professionals, 911 Dispatchers, and other Responders serving in City, County, State and Federal Agencies". 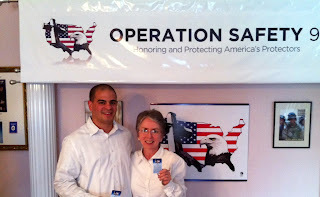 This connection began about 2 years ago when Ronnie Rivera, head of EMERGENCY WORKERS FOR CHRIST, was connected to Operation Safety 91 through LT Tommy Neiman of Port St. Lucie Fire District in Ft. Pierce, FL. 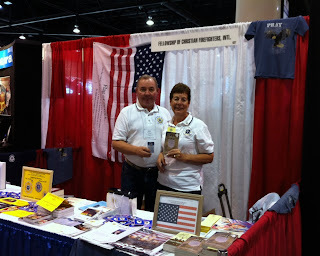 Tommy is also the Florida head of the Fellowship of Christian Firefighters International. http://www.tommyneiman.com/ Thank you so much, Tommy! Ronnie has been distributing the Psalm 91 books and cards during these two years, as well as attending our Events in Orlando, so he knows first hand the similarities of the mission of his Ministry and OS91's. Recently Responder Life became introduced to and has partnered with EMERGENCY WORKERS FOR CHRIST, and made Ronnie the Regional Director of what is now RESPONDER LIFE FLORIDA . Ronnie set up a meeting introducing Chris Green, the President and CEO of RESPONDER LIFE, Trey Doty the Executive Vice President as well as Terry, their wonderful Florida strategic partner, to Ed and Mary, and to OS91. 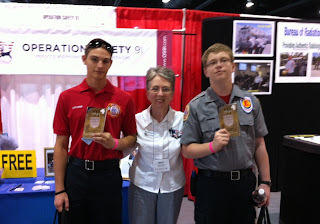 So now RESPONDER LIFE FLORIDA is partnering with OPERATION SAFETY 91 to reach their Responders with Psalm 91 cards! We are so grateful for this new connection, giving us this opportunity for outreach to Protectors with God's Covenant of Protection, Psalm 91. Day 2 of Fire Rescue East brought more reunions of old friends and making of new friends. We so appreciate our good friend, Chief Derryl O'Neal of Minneola FD who has been such a blessing to OS91 for several years now! Speaking of friends: our partners at the Fellowship of Christian Firefighters International were about 8 booths down from us, so we were able to borrow Psalm 91 books when we ran out! We were blessed to see again our friend, LT Tommy Nieman, author of Sirens Of The Cross http://www.tommyneiman.com/ and Regional head of FCFI Florida as well as Captain Chaplain Trevor Nelson, head of the Jacksonville FCFI, who blessed OS91 by his presence and his support at our 4th Annual Tribute to Honor America's 1st Responders. And what a wonderful family he has! Psalm 91 books and cards! 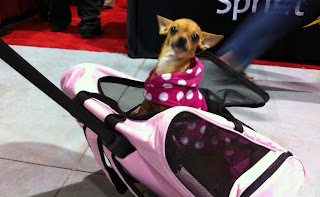 And finally.... guess who stole the show...all 3 lbs of her! 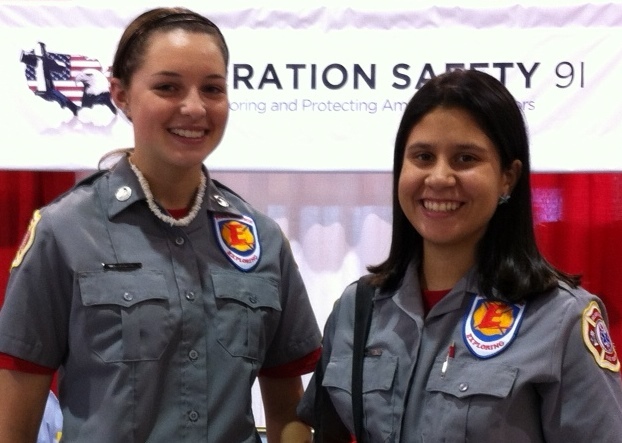 OPERATION SAFETY 91 is currently attending one of our very favorite Conventions of the year, Fire Rescue East being held at Daytona Beach, FL January 20 - 21, 2012. 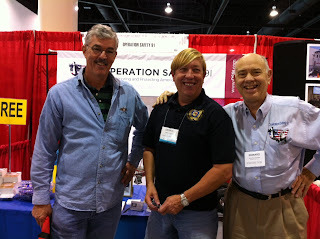 Our very own Winter Garden Fire Chief John Williamson, the President of the Florida Fire Chiefs Association http://www.ffca.org/i4a/pages/index.cfm?pageid=1 paved the way for our attendance and we certainly are among friends! We love our Firefighters, and they are so appreciative of our efforts! We had wonderful moments today when Firefighters came up to our booth and told us what they did with the Psalm 91 cards and books after they received them last year. And, of course, we made many more new friends today. Back for more Psalm 91 books this year! A few Firefighters came back this year for "seconds" so to speak. This wonderful Firefighter pictured above, picked up a Psalm 91 book for herself last year and ended up sending it to a soldier in Afghanistan. This year, she came back to restock! One more day to go; looking forward to a great day tomorrow! Longtime partner and friend of Operation Safety 91, Orange County Fire Battalion Chief Scott Seigler agreed to come to to speak to the students of New Hope Christian Academy of Minneola, FL, http://www.newhopeca.org/ this afternoon. It was wonderful! This is part of Operation Safety 91's School Visit Program to educate our youth about Responders, what they do and the risk involved in their professions. Chief Seigler spoke about the calling of a Firefighter, and what is involved in terms of education as well as risk. He explained the different levels including EMT and Paramedic as well as the responsibility he now shoulders as Battalion Chief. Battalion Chief Seigler also shared with the students his participation in the Ministry of "Builders For Christ", a group of men, women and children serving the Lord in the Mission Field of Church Construction http://www.buildersforchrist.org/. Chief Seigler has volunteered with this organization for many years now using his vacation to build Churches in different parts of the U.S.
A question/answer time followed with many excellent questions being addressed by the students. Chief's wife, Susan, former Firefighter, was introduced to the students as well. A most heartfelt Thank You from OS91 to you, Chief Scott, for sharing with these wonderful young people! 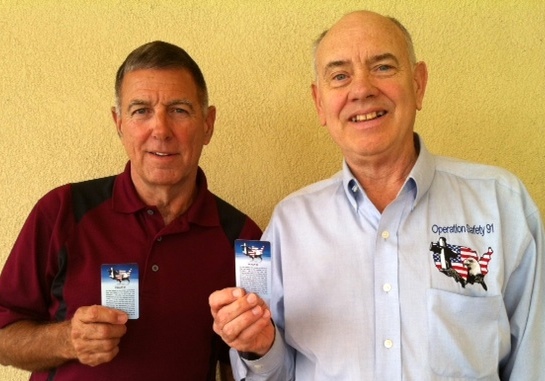 Ed and I were so honored and privileged today to have lunch with our National Spokesperson, COL Danny McKnight, USA (Ret. ), the American hero portrayed in the movie, "Black Hawk Down". 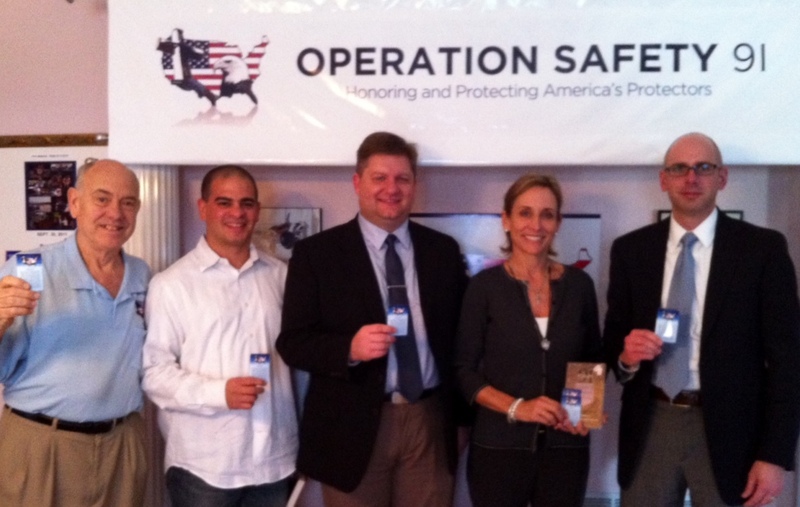 Wonderful plans are being made for upcoming events for Operation Safety 91. COL McKnight loves OS91 and its mission as well as our Psalm 91 cards, which he distributes to his fellow soldiers.